The word "flecktarn" comes from the German words "fleck" meaning "spot", and "tarnung" meaning "camoflauge". When you look at it for the first time, it's pretty self evident. However simple the idea of have 5 coloured dots mashed together being adopted as the German Army's go-to pattern, these little dots have a lot of history. 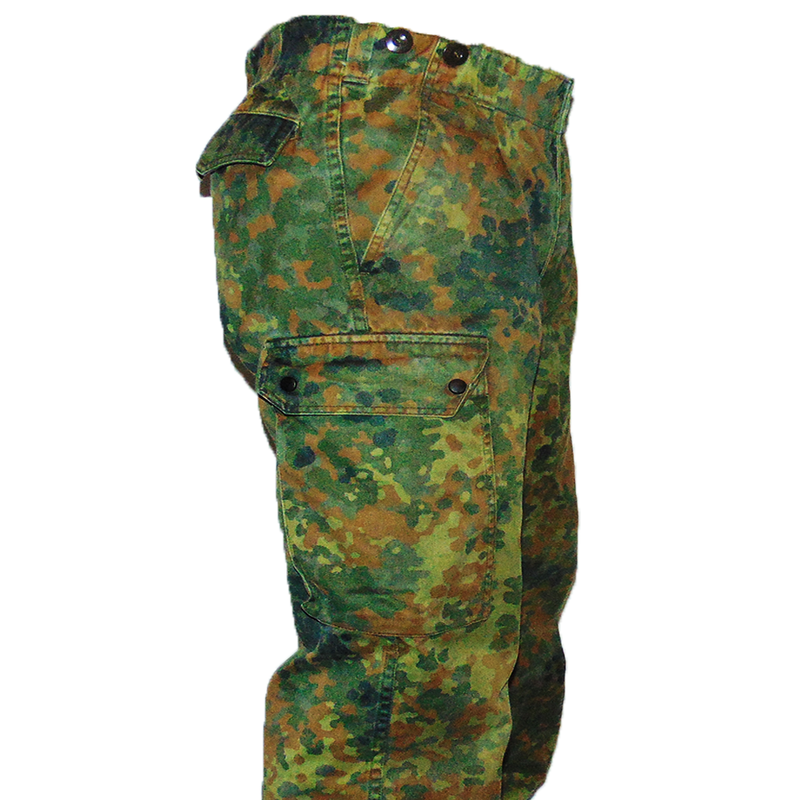 Today's Flecktarn is the result of decades of German camoflauge development dating back to the Second World War with the original Axis "pea-patterns". The mix of black, brown, dark olive and medium olive green spots on a mossy background make this simple pattern, surprisingly effective in temperate environments, making it the ideal pattern throughout North America and Europe. 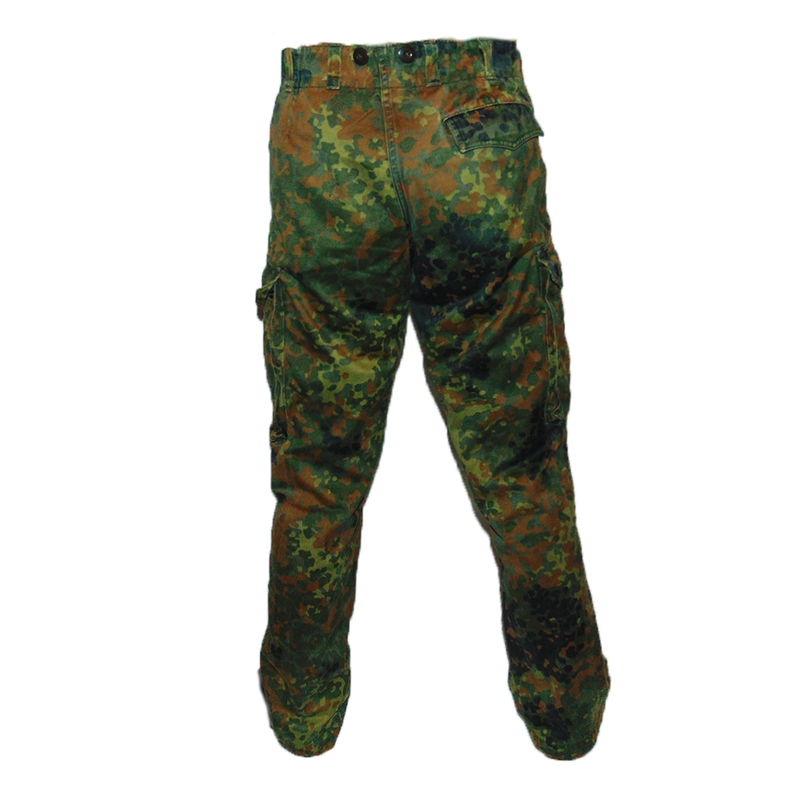 These outstanding pants feature a zipper fly, two hand pockets, one German style button closure arse pocket (right cheek, sorry Southpaws), and two large snap button cargo pockets. These pants are the real McCoy. 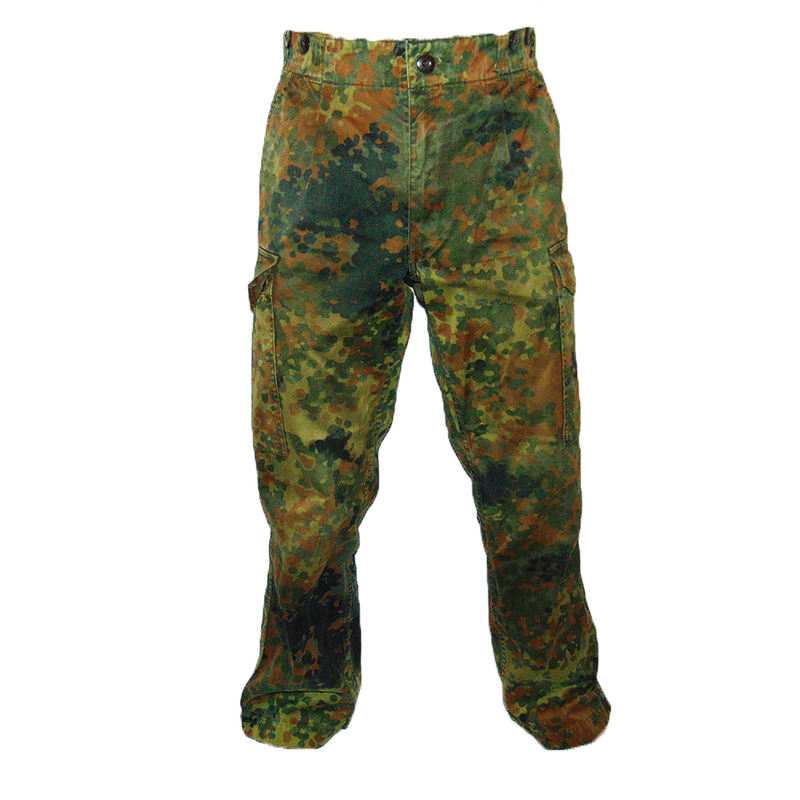 Anything in Flecktarn as surplus will become increasingly rare as the German military recently decided that instead of surplusing these fine pants out the public, they're going to be burning them in the most environmentally unfriendly way possible. Get them before they're gone, but be forewarned, they might emit a slight smell of braustwurst, saurkraut, and beer!